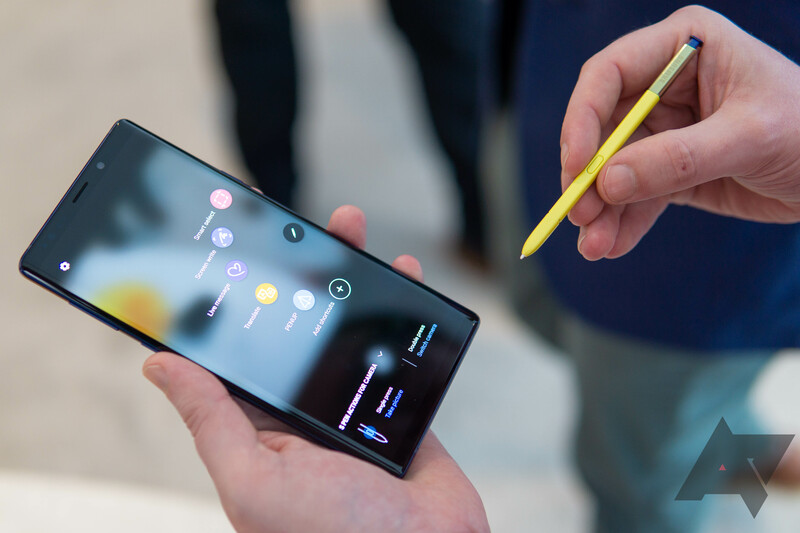 Qualifying Samsung trade-ins can get 'up to' 50% off a Note9 purchase, over 24 monthly bill credits. If you pre-order the phone before August 23, you get a pair of AKG noise-canceling headphones ($299 retail value) or the Fortnite Galaxy skin with 15,000 V-bucks ($150 retail value), for free. You can also buy both for $99. If you purchase the phone on a new service line (and you sign up for Device Protection+), you'll get $150 in service credit. If you pre-order the phone before August 23, you get a pair of AKG noise-canceling headphones ($299 retail value) or the Fortnite Galaxy skin with 15,000 V-bucks ($150 retail value), for free. You can also buy both for $99. It's now past 12am ET on August 10th, meaning that pre-orders from every single carrier/retailer on the list for the Galaxy Note9 have opened. If you're going to buy one, we'd recommend jumping on one quickly so you get an early delivery date.